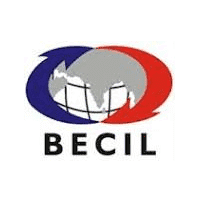 BECIL Jobs Recruitment Notification 2018.Broadcast Engineering Consultants India Limited, BECIL inviting applications for the positions of Data Entry Operator.Interested and Eligible candidates can apply for the positions. 1. Qualifications & Experience: Graduate from a recognized University with English Typing Speed of 35 wpm on computer. The duly filled in application form along with self-attested photocopies of educational/ experience certificates, two passport size photograph, Aadhar Card, Pan Card and nonrefundable registration fee for General / OBC of Rs.500/- and SC/ST/PH of 250/- by Cash / Card or demand draft drawn in favor of BROADCAST ENGINEERING CONSULTANTS INDIA LIMITED payable at New Delhi may be submitted to Assistant General Manager (HR) in BECIL’s Corporate Office at BECIL Bhawan, C-56/A-17, Sector-62, Noida-201307 (U.P). Last date for submission of application forms is September 14, 2018.